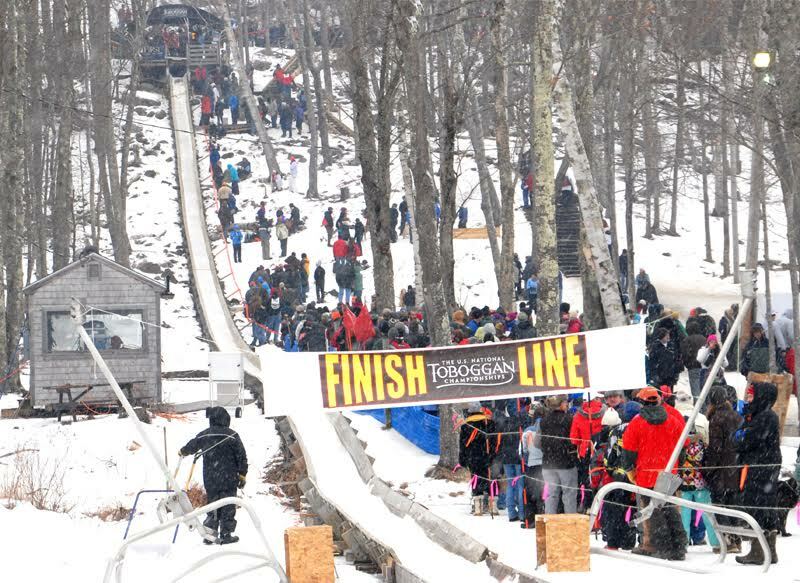 More than 400 teams will compete in Camden, Maine in the 28th annual U.S. National Toboggan Championships at the Camden Snow Bowl Feb. 8-10, 2019. 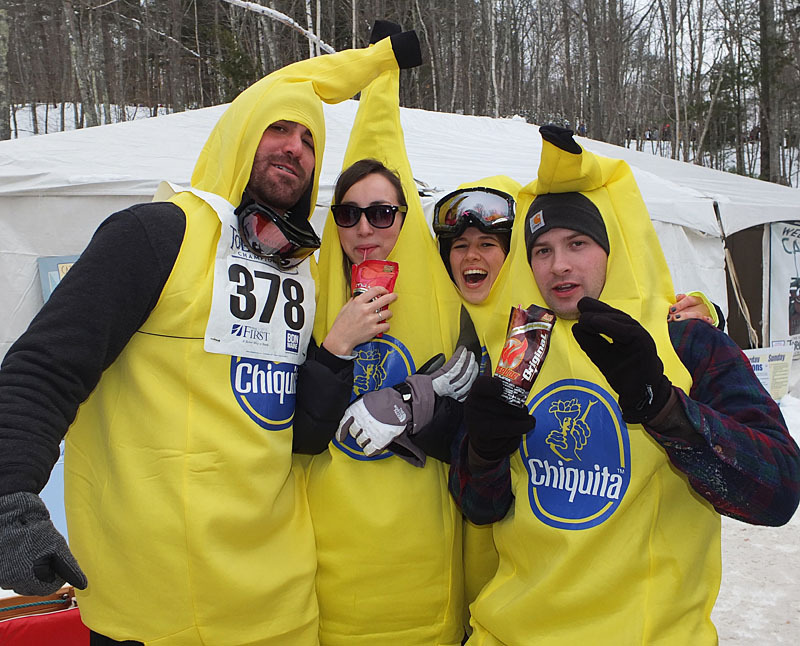 This fun-loving, yet very competitive event promises thrilling races down a 400-foot chute, comical costumes and loads of entertainment for participants and spectators alike. Schedule is approximate. Announcer will update. Arrive early and plan to spend the day! Ice conditions in chute subject to change. By definition, a toboggan is a long, narrow, flat-bottomed sled made of thin boards with the front curved upward and then backward. The curve at the front of the toboggan must be large enough to cover the first set of rider’s feet. Riders may sit on a pad. The rules state vehicles for the traditional toboggan races must be the traditional shape described above. They must be made with wood and not exceed 50 pounds, including the pad. They must measure a minimum of 15 3/4 inches wide and a max of 20 inches wide. They can be 6 to 12 feet in length (depending on the number of riders). For example, 6-foot toboggans can be used for the kids and two-person division. All other toboggans must be 7 to 12 feet long. The bottom of the traditional toboggan must have a flat bottom constructed of wood slats. No synthetic materials are allowed. All toboggans are inspected before and after the race for safety and to ensure they meet race regulations. In the experimental division, modifications are allowed. Once launched on the 400-foot run that delivers a 70-foot drop, all toboggans have the potential of reaching speeds of up to 40 MPH. DOWNLOAD the 2019 Toboggan National Team Registration Form. Find RULES & GUIDELINES here.